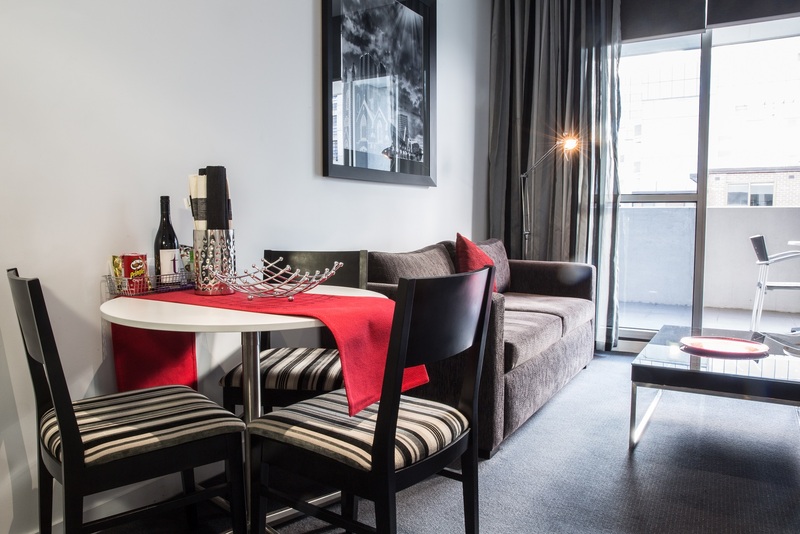 For guests looking for either short or long term accommodation, our one bedroom apartments offer superb value and are complete with all you need for a comfortable stay. 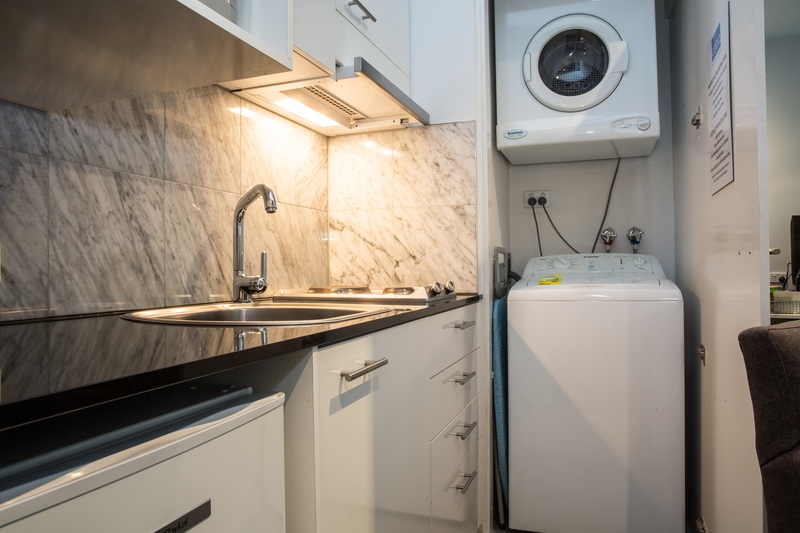 Featuring fully-equipped kitchen and laundry facilities, study desk, a large living area and bedroom, guests can look forward to feeling right at home. 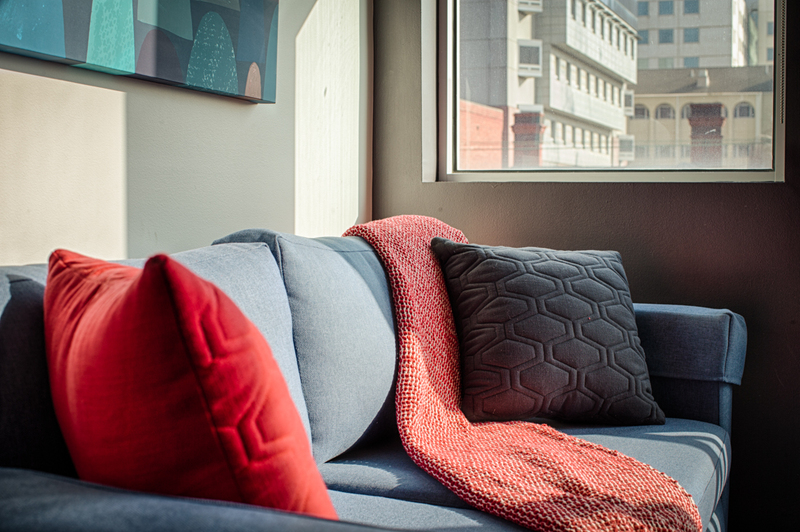 The one bedroom apartment sleeps up to two guests in a queen sized bed. 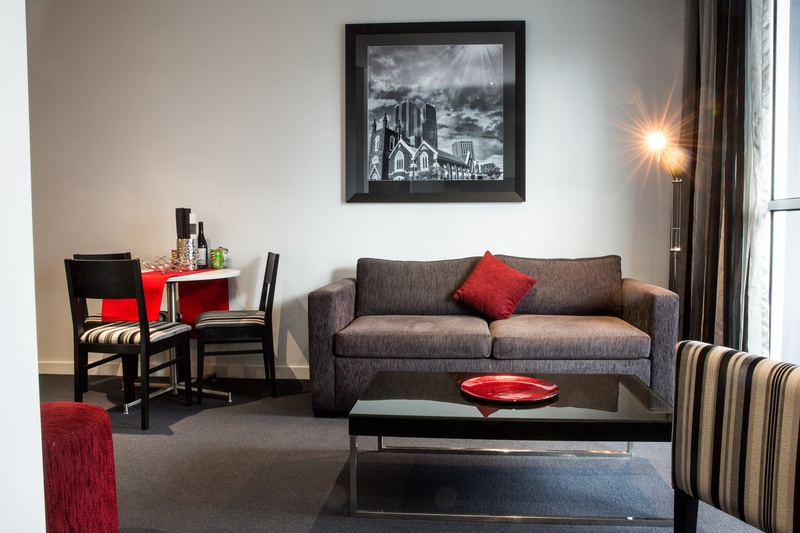 Some apartments also include a sofa bed, which can be used to accommodate one extra guest subject to an additional fee. 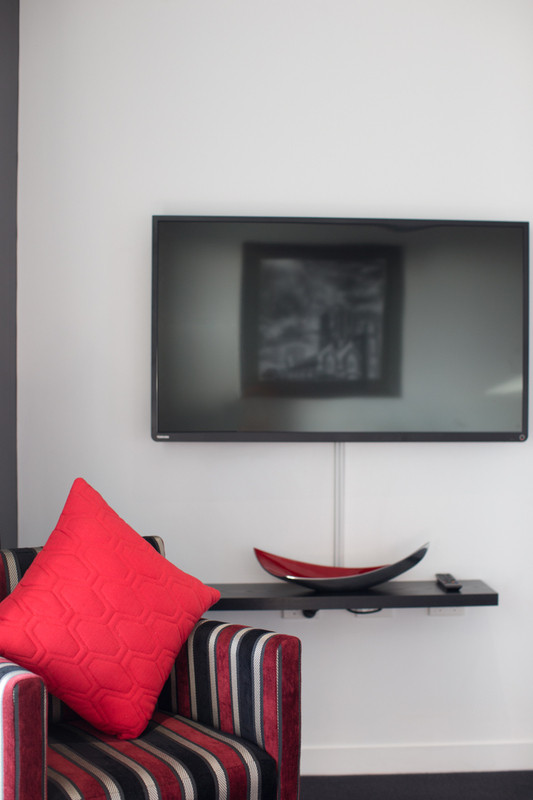 Guests staying with Adara Richmond have the luxury of enjoying complimentary Foxtel and internet access in all apartments. 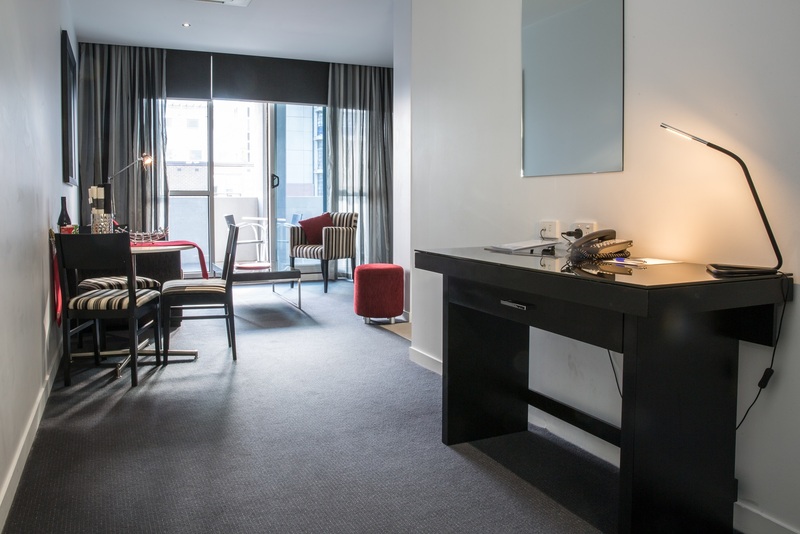 1 / 2 Queen bed 3 Maximum guests Non-smoking Disability accessible room available Connecting rooms available. 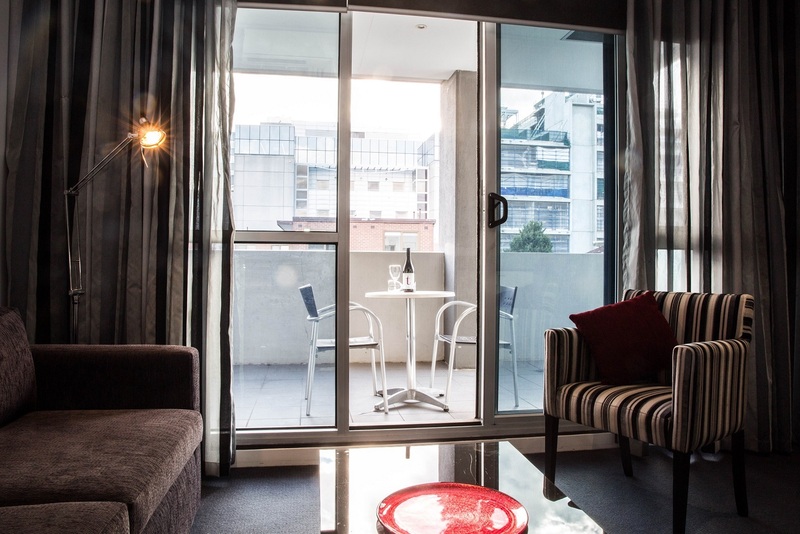 Guests looking for that extra bit of comfort, style and space can opt for our one bedroom executive apartments, which boast a private balcony and outdoor seating. 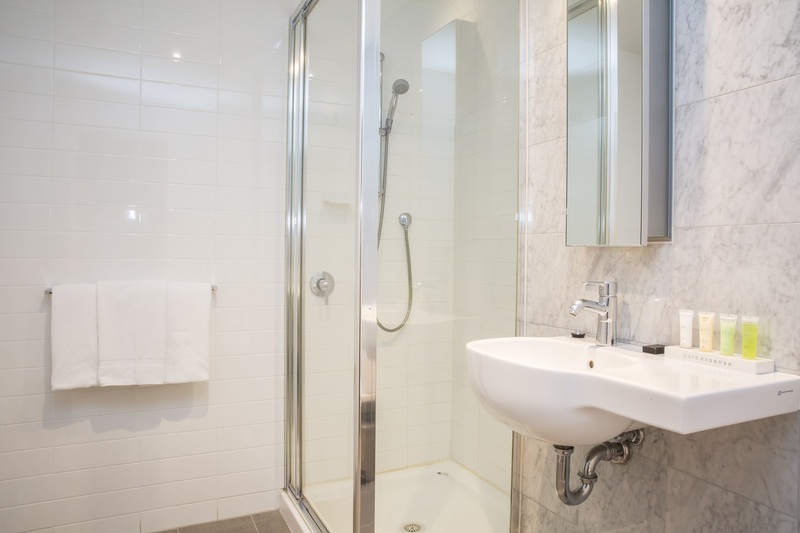 The one bedroom executive shares many similarities to the one bedroom apartment such as fully-equipped kitchen, washer, dryer, a separate bedroom with a queen sized bed, and an open layout living area. 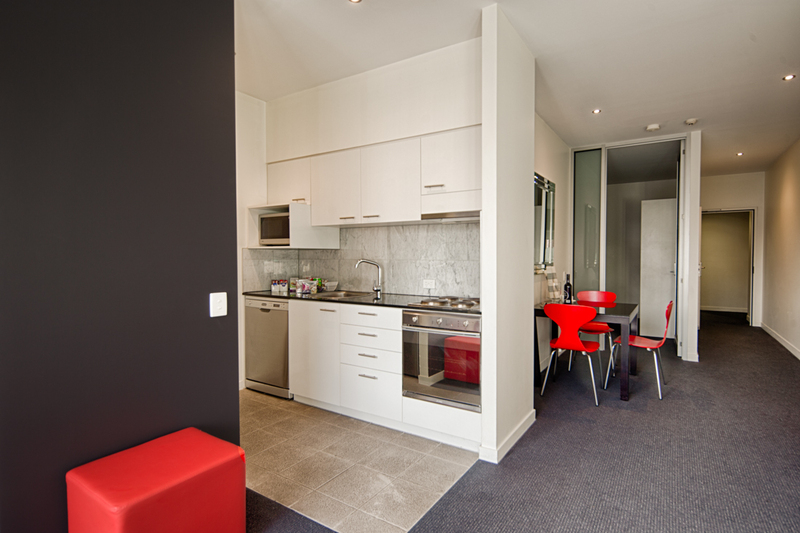 Suitable for both short and long term stays, the apartment comfortably accommodates up to two guests. Selected one bedroom executive apartments include a sofa bed, which allows you to accommodate one extra guest at additional cost. 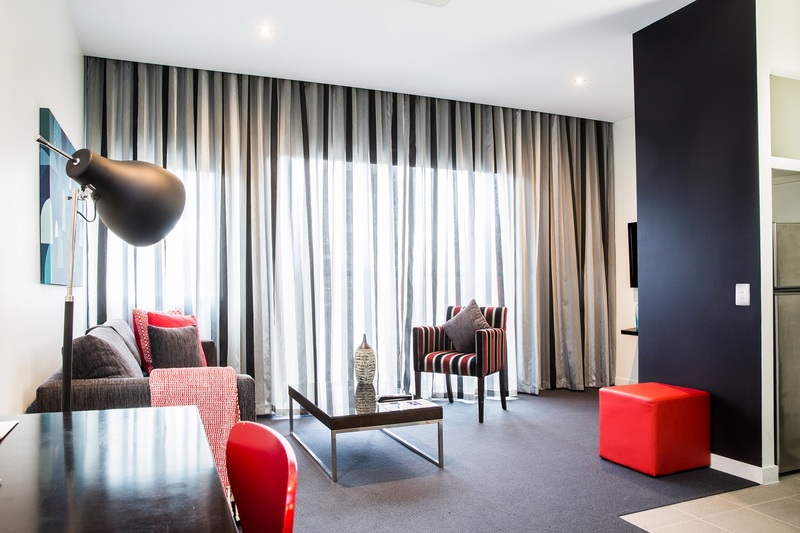 To ensure that your stay at Adara Richmond is a pleasant one, Foxtel and high speed Wi-Fi connectivity is included in all rooms. 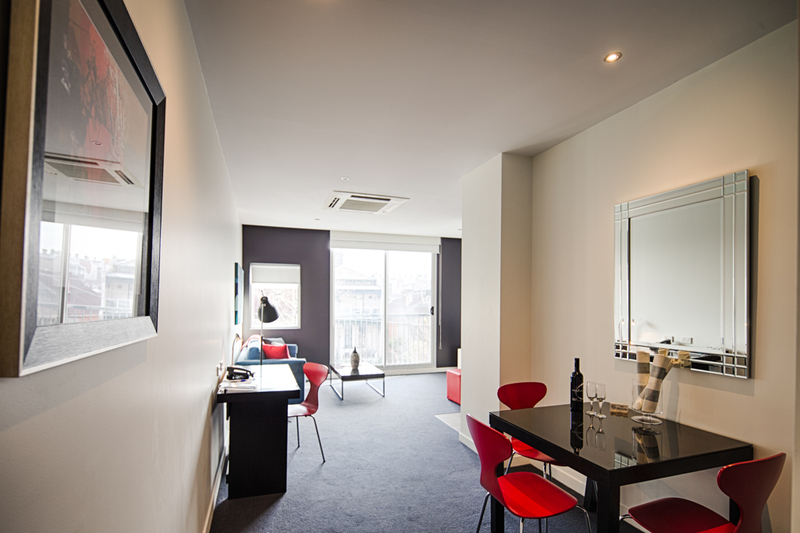 Guests are permitted to smoke on the one bedroom executive apartment balconies. 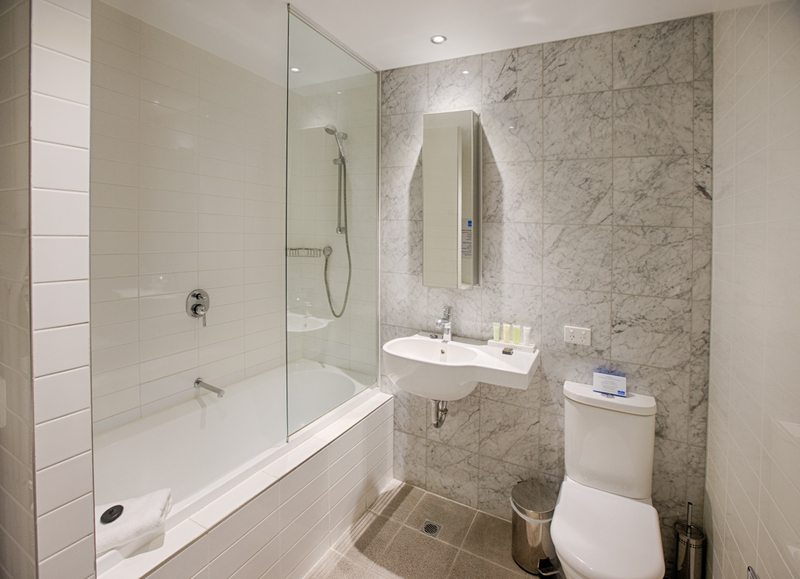 1 / 2 Queen bed 3 Maximum guests Smoking permitted only on balcony Disability accessible room available Connecting rooms available. 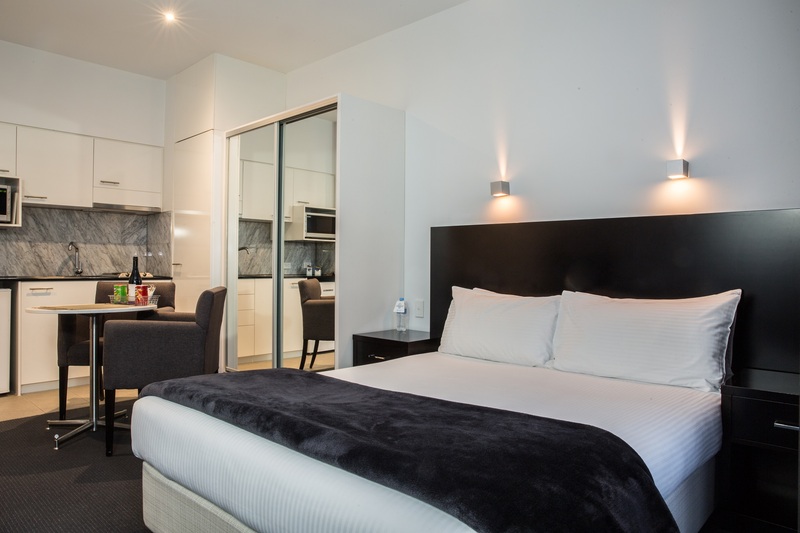 For larger groups or families, our two bedroom apartments are the perfect choice for guests looking to balance spacious accommodation and living space with all the familiar comforts of home. 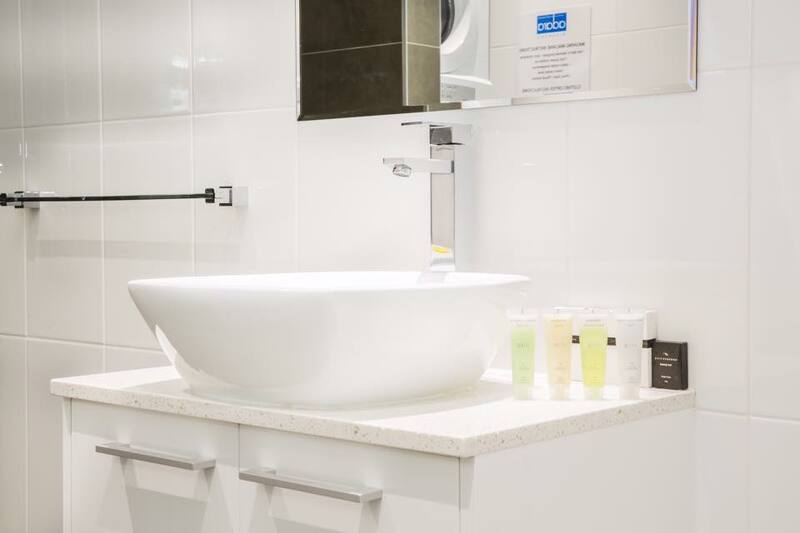 Designed by joining a studio and one bedroom apartment, our two bedroom configuration allows guests to take advantage of two separate bathrooms and two sets of kitchen, dining and laundry areas. 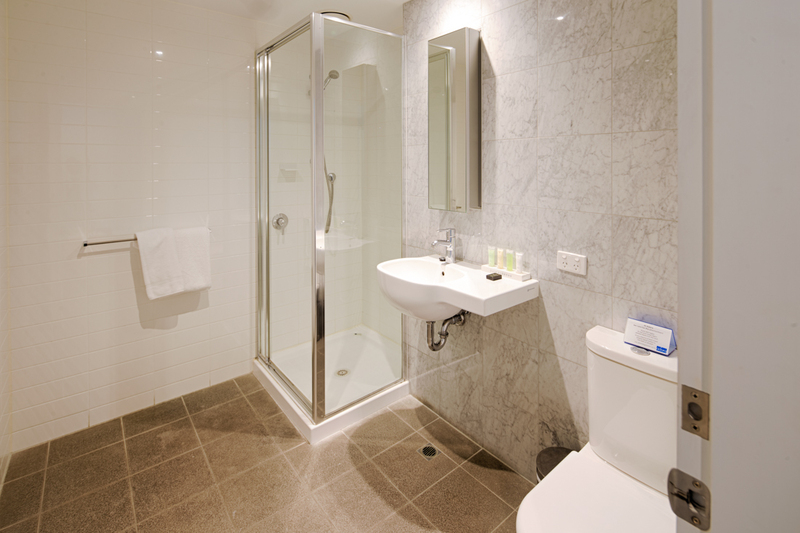 Sharing one main entrance door, the split room feature offers the best of both worlds, ensuring that our guests enjoy total privacy and easy connectivity between rooms. Up to four guests are able to comfortably occupy our two bedroom apartments, with a combination of a queen and king split bedding provided. On request, a rollaway bed can be added to accommodate one extra person at an additional charge. 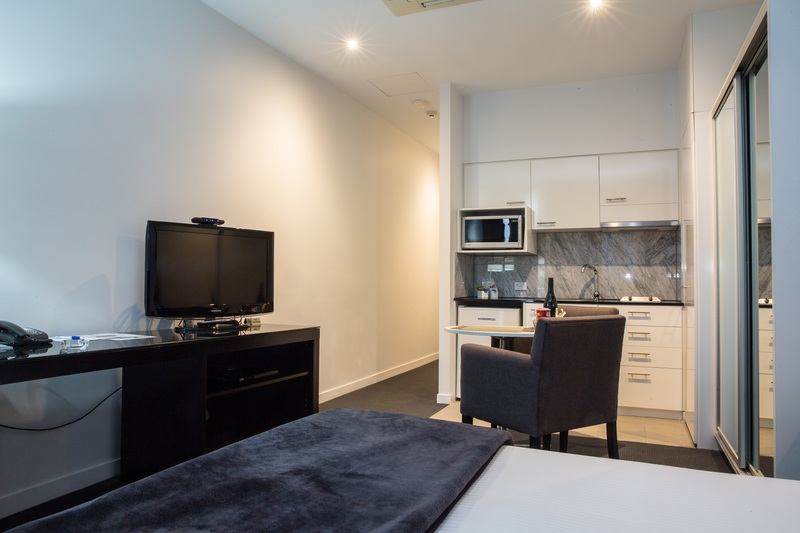 As with all rooms at Adara Richmond, Foxtel and high speed Wi-Fi internet access can be enjoyed in both bedrooms to make your short or long term stay with us all the more pleasant. 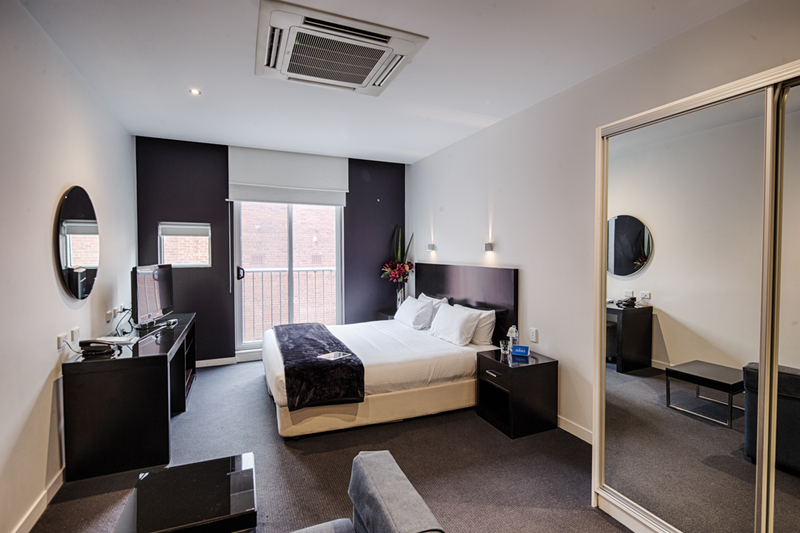 1 Queen bed / 1 King split / Twin 5 Maximum guests Non-smoking Disability accessible room available Connecting rooms available. 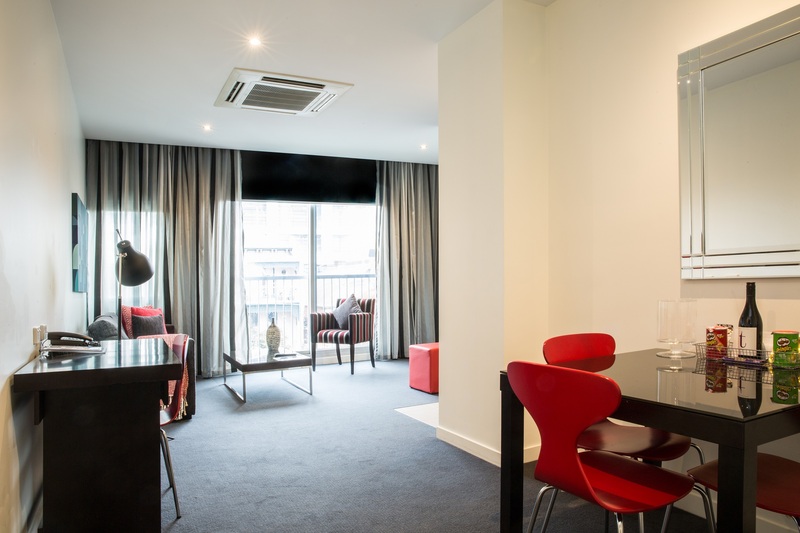 Adara Richmond’s studio apartments are an excellent choice for leisure or corporate travellers looking for comfortable and convenient fully-serviced accommodation. 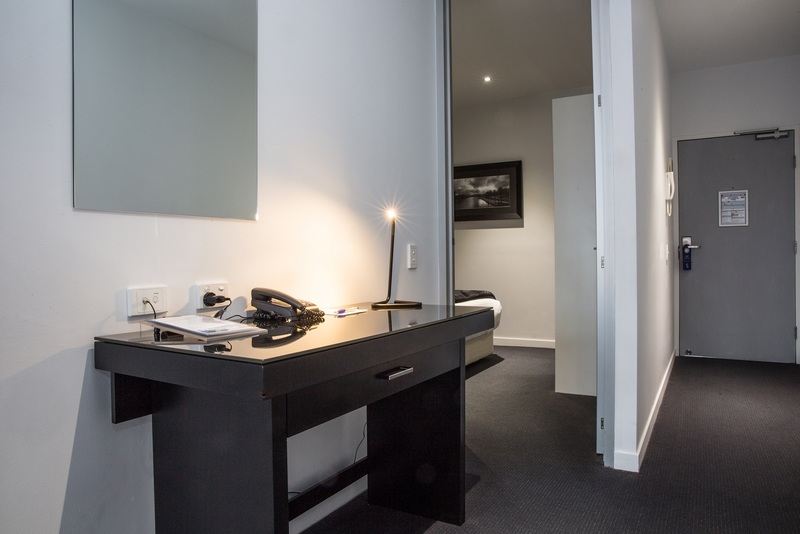 With important amenities such as a kitchenette, bathroom, desk and full laundry facilities, our studios offer great value compared to traditional hotel rooms. 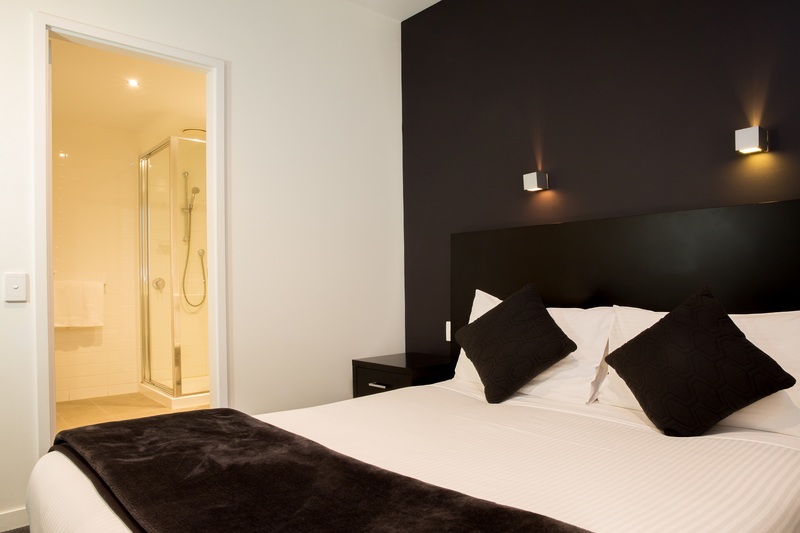 Guests have the option of a queen bed or king split (two singles) bed in our studio apartments, which can accommodate up to two guests. 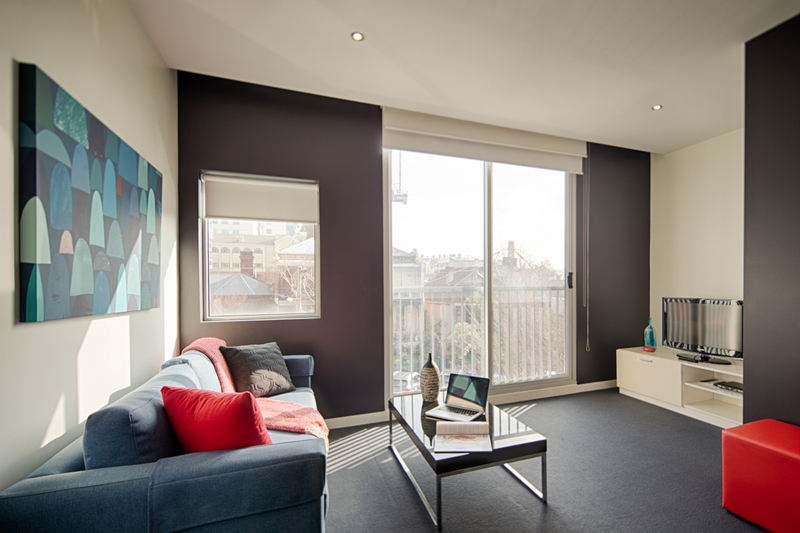 Featuring stylish and contemporary furniture and high ceilings, our studio apartments offer unrivalled convenience, comfort and affordability. 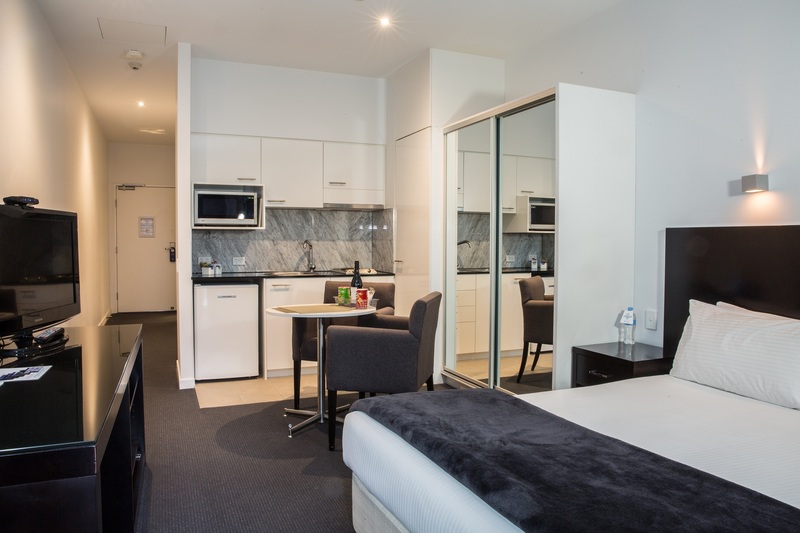 1 / 2 Queen bed / Twin 2 Maximum guests Non-smoking Disability accessible room available Connecting rooms available.